Glad you joined us! Blog posts are about anything and everything you may be curious about. Use the Search tool to see if I’ve written about what you’re interested in. We learn so much about feeling good when we share our health experiences with each other. I hope you enjoy visiting! Day 1 Last night I took ½ scoop of IMD with two grams of Vitamin C. This morning I took one Clear Way capsule. I am starting low and slow. So far so good. I plan to do the five days on two days off program for now, gradually working up to one full scoop. On Monday I will order the etheric Vitamin C and the Etheric Glutathione which I know are huge aids in this protocol. And I’ll find out from Mountain Health about what they recommend I do to address the parasites I know I have. Last time I took artemesinin and it did do its thing. I know you need to ‘beat back the explosion’ of microbes simultaneously with getting rid of the mercury with the IMD. Day 2 Last night I took a half scoop of IMD with a one gram capsule of vitamin C. This morning I took one ClearWay capsule. Yesterday and today I had a couple of drops of the trace minerals in water. The bottle dosage says 8 drops but if I overdo certain minerals like zinc and selenium I sometimes regret it due to what I think are mercury mobilization symptoms, like depression. Again, so far, so good. 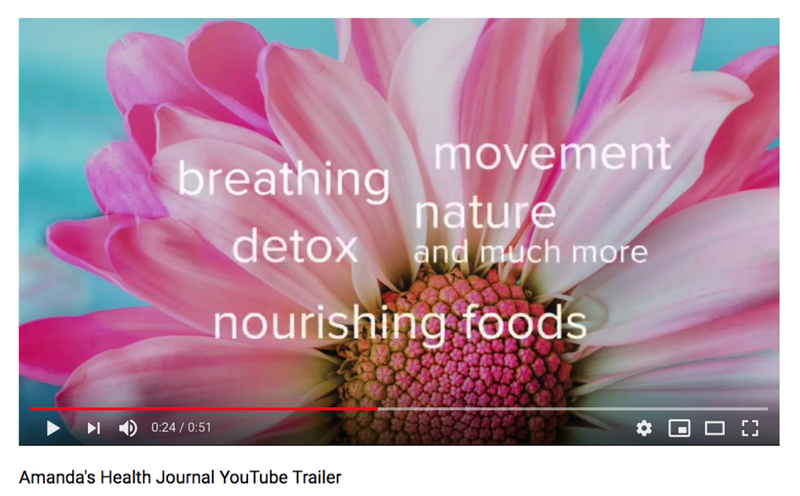 I read in my diary from last year, when I was doing the IMD protocol with the glutathione and etheric vitamin C and the ClearWay, that I was beginning to feel good. 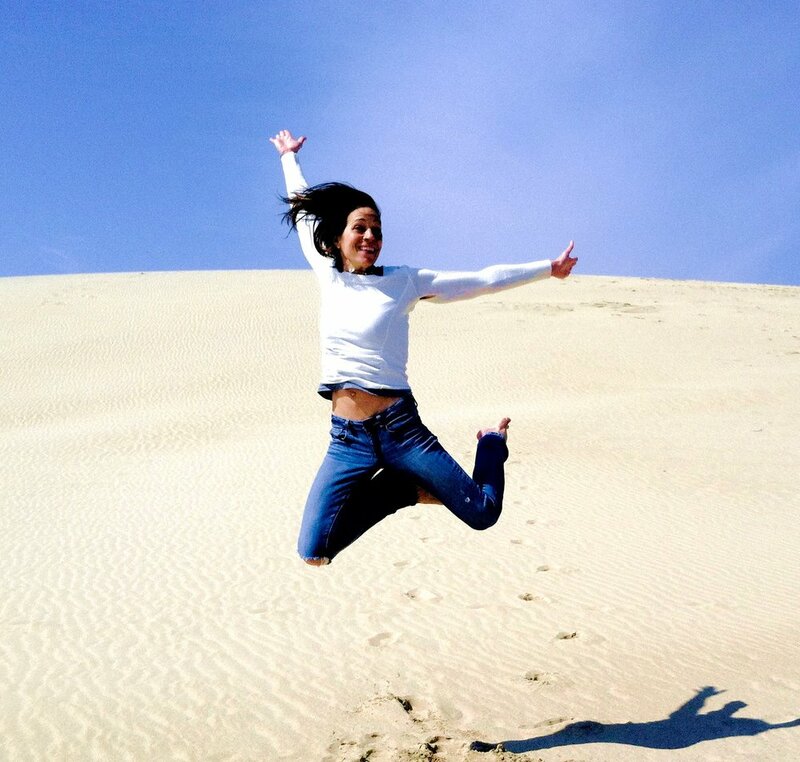 My stiffness was going, I had energy, I didn’t feel retox symptoms from mercury mobilizing….and so why did I stop?! I wanted to try Modifilan, and all those Quicksilver supplements are expensive. No matter. I have more experience going at this a second time around. And that’s what this site is about – helping ourselves through the sharing of experience. So what are my symptoms? Stiff joints, stiff neck, stiff and painful left middle finger that won’t bend, joints that pop and crack so that when I teach a yoga class and everyone’s in Final Relaxation and I lie down to join them, you can hear my knees crack and sometimes a hip or two. Also, my memory’s been poor for many, many years, I have scoliosis, and I tend towards constipation (luckily Dr. Miller’s Holy Tea always helps). I do not recommend detoxing metals or anything else unless your bowel movements are moving at least twice a day. The tea helps with this amazingly well. It’s good to keep a journal because when I check back I see that I had various stiff and painful body parts that are completely different than the ones I have now. Stuff moves. Lyme Disease people are especially aware of this. I was told I had Borelia (the Lyme bacteria) by my electrodermal screening doctor. And of course this video shows spirochetes in my blood. And last year when I took the IMD protocol, I was also on high doses of sea salt and vitamin C (the Salt/C Plus protocol) for Lyme. So I was going at it from all angles, including artemesinin for parasites. And I was starting to feel good. The tea was quite necessary to cleanse so much. Same deal. ½ scoop of IMD last night. But I took ClearWay Cofactors twice today. One capsule in the am, and one before dinner. I watched the fifth and final webinar video where Dr. Chris Shade explains the dosages of the products, and in the beginning he likes to see people taking 2-3 capsules of ClearWay when they start, moving up to 6-8 per day. ClearWay is a "proprietary blend of phytoextracted polyphenolic antioxidants, R-Lipoic Acid (RLA), targeted vitamins (B1, B5, B6), selenium, kelp extract and high-potency Lumbrokinase designed to maximize metal detoxification pathways." The bigger news is the effect that one day’s worth of Dr. Miller’s Holy Tea – now that I’m back on it after not having drunk it for months – has on my body. Very nice help with getting rid of stuff. Some of which I’d take a picture of and post but can’t bring myself to do that online yet. Just know that the tea gets to work. Check out the Shade videos. In one of them, he mentions how in the first few days of treatment with the IMD, Clear Way, etheric glutathione and vitamin C and others, patients can’t tell where they are. In the fourth and fifth days then you will likely know if the dose is too much or not. I’m sure I’ll be fine. I’ve got to get that C and glutathione though. They are major players in the protocol. Both nights I took a half scoop of IMD. On Day 4 I took two Clear Ways, spaced apart. Then that night I woke up around 3am and had trouble falling back to sleep, even after eating something. So Day 5 found me going back to one Clear Way. I’m now on an ‘Off’ day. The protocol is five days on, two days off. Tomorrow my etheric Vitamin C with R-Lipoic Acid will arrive, as well as the Etheric Glutathione. These I used when I did the protocol last year and they seemed to help me feel better. But I didn’t feel bad! This time around I will also be adding the Quinton products to the mix. I’ll take the Quinton Isotonic during the On days, and Hypertonic on the Off to remineralize. Chris Shade says that high mineral doses stop the runaway fatigue that can often accompany mercury detox. Starting slow is best. And also important is getting to a high enough dosage when ready to flush deeply - perhaps a few months into the program. My Quicksilver mercury tri-test, which analyzes hair, blood, and urine to assess for the body’s mercury burden and its ability to eliminate it. I’m the blue bar. With the IMD you can take three months to get up to the three scoops per day. This is my plan. I am feeling better than a week ago. Some of this is due to my stopping the Dr. Clark Kidney Cleanse I was on last week. Did it stir up metals? Were the herbs contaminated by metals? Who knows, but the cleanse was making me feel worse rather than better so I stopped. My mood is good, so is my energy, my body overall feels a bit looser. Dr. Miller’s Holy Tea is also a factor in this I’m sure. Get that waste out of there, people! Some people think it’s okay to go once every two days. I am here to tell you that I am not one of those people. More to come as I move forward with the Quicksilver Detox rounds. The Quinton and liposomal products came so I took one ampuole of the Hypertonic – since it was an ‘Off’ day – and I got pretty fatigued later in the day. I took two pumps of the etheric Vitamin C/R-Lipoic Acid to see if it would take away some of the tiredness, but no go. Will go to sleep early tonight. Rest is where it’s at. Itchy bump between two fingers on right hand near the web, same for two toes, and an elbow. Pulling sensation in upper right tooth and lower left. IMD binds with metals in the gut, and tissues release mercury into the blood. So maybe that’s what I’m feeling? This same phenomenon happened on the Andy Cutler protocol a few years ago. I am hungrier for food! Just ate a bowl of chili and hour ago and my stomach is rumbling for more. The range of motion in my neck is pretty bad. More stiffness – along right arm, and third right knuckle. Neck has no range of motion because it’s so stiff. Tired after a few hours after IMD dose of one scoop. So I’m drinking more caffeine! Dr. Miller’s tea is so helpful. Line of muscles that go through upper right arm through shoulder is not right. On Shade’s ‘beat back the explosion (of pathogens that happens when you detox metals)’ thing: I am back up to 4 grams of salt and C but perhaps I should start up the wormwood capsules I have. I’d buy Quicksilver’s Artemisinin if it weren’t for low funds. Slept fantastically last night, stiff neck and all. Later this same day: Ate homemade yogurt with apples, coconut shreds, blueberries before bed. It was delicious, but I woke up 3:30 AM with my mind racing, body parts all tense. Strong probiotics = mercury release? This has certainly been my experience many many times over the years. Perhaps there’s another explanation but that’s how it appears. An ‘off’ day, for remineralizing (which I’m not doing because I don’t have the macrominerals, only some trace minerals). I am tired and I couldn’t play checkers with my 10 year old! Couldn’t concentrate or keep up mentally. I accept these things when they happen. I know they are temporary, and the best way to handle them is to laugh a little bit at the craziness. So stiff, especially in morning. Neck, legs, feet swollen in am so I walk gingerly for the fist 5 minutes. My goodness! Wonder if it’s a happy mix of b. burgdorferi, mercury, parasites, yeast, and who knows what else! Have worked up to 4 grams of salt and Vitamin C. Am waiting for the full moon on August 10. A good rule of thumb is to take anti-parasitics for the five days before the full moon, and the five days after. This is my plan. Am getting low on my first bottle of Etheric Vitamin C.
Quicksilver arsenal of products I’m taking on the protocol. Not the cheapest hobby you could say. A bit down, tired…have had no beneficial effects yet from this protocol. But it is early on. I have added organic sulfur. It helps with elimination along with the Dr. Miller’s tea. I haven’t slept well for the last three nights. I am glad tomorrow is an ‘off’ day. I will be taking Quinton Hypertonic to remineralize in this so-called parasympathetic state. Finger joint still swollen. Memory is terrible. Maybe that’s a good sign, meaning my brain has clearly been affected by the Hg and will improve as the mercury leaves. Today I ate French fries at Friendly’s ( I was on the road and had little food to choose from), and now a few hours later I am stiff stiff stiff from the nightshades. What have we learned from Shade? Increased inflammation = decreased detox ability. So I’m still feeling stiff tomorrow, I’ll hold off on beginning Round 4 on IMD. Stiff left middle finger, can’t bend it. Whole body is stiff. Lots of rain lately. Milk and ice cream causing stiffness? Hard to tell. IMD makes me a bit tired but not too bad. Tonight ate salmon because my aunt brought it from many miles away. Will take IMD tonight instead of in the morning as usual. That’s supposed to help with the fatigue as well. I took the one scoop of IMD with the three pumps of Etheric C before bed. That worked well so that I didn’t feel the fatigue in the day. Slept pretty well each night. Have been trying out Original Strength before bed to ‘reset’ and perhaps that also helps. I wake up pretty stiff, including soles of feet. Once I get moving it goes away. My Lyme friend said that this is a symptom of bartonella. Between rounds 4 and 5 'Venting' for me is a thing of the past. Except for this moment now. I am cold a lot. Tonight I went to Buffalo Wild Wings and felt quite disconnected from everyone in there. Overweight, scrolling through their smart phones without making conversation with each other, wearing t-shirts in the 71 degree room while I had four layers on. It's August. Don't know why tonight I was so cold especially. I have taken three grams of salt and three grams of vitamin C, but I've been doing this for a while now as part of my Lyme Salt/C protocol (I used to take 10 per day). I was able to take a hot bath and warm up after dinner, and of course the cold aversion did not prevent me from eating ice cream after my burger (remember how I wrote about the Ray Peat diet? ), but it does concern me. I'm cold, my neck is so stiff, my joints are stiff and pop, a few of my fingers knuckles are stiff and swollen, my memory is just terrible, my left hip is jammed up so that I stand and sit a bit crooked. I think I have a cavity in my upper right molar, and I keep forgetting to carry around raw garlic so I can chew on it with that tooth. Oh, and my jaw is out of alignment. And I'm missing various teeth. However.....I'm still a very nice person. And, I am weird. You, my reader, will probably identify with my rantings, but there were more than a hundred people in that Wild Wings restaurant who would not. I am weird because I don't take any medications, but I talk about these various complaints, and choose natural healing methods for them. Which brings me back to mercury and my IMD rounds. When I return home next week I will begin Round 5. I feel good about doing this metals detox. I like Chris Shade. I believe his testing and products have helped many. He would tell me to keep at it. A month of IMD does not take away problems caused or exacerbated by 20 years of metal toxicity. I took about a week between the last round and this round because I went out of town. So last night I took a scant 2 scoops of IMD (sort of like 1.8 scoops roughly) with the etheric Vitamin C. This am I took the Etheric Vitamin C in water, then 15 minutes later the Etheric Glutathione and 3 ClearWay Cofactors. Today I’ve had much much energy. I became warm too, thinking several times – checking the thermostat to see if it had been raised, but nope, I was just warmer. Like people with normal hormone production, I think! I am really glad to be doing this. I am putting in another order for more IMD, Etheric Vitamin C, Clear Way Cofactors, Etheric Glutathione, Rentone for my kidneys, and Pure Encapsultaions Minerals 650, which Quicksilver also recommends. $450. Mucho dinero. But I asked the woman on the phone at Mountain Health Products: “Have you heard people benefitting from the Quicksilver Detox protocol?” And she said quite convincingly, that it has been life-changing for some people. If it does what it’s supposed to do, I am not surprised. Took about 1.7 scoops last night. This morning, slight headache. Took my C, glutathione, Clear Way as all prescribed. Then wondered if I should take 2 more Clear Way since I believe Chris Shade says take 2 per one IMD scoop. He also says that it takes about 3-5 days on the IMD before you start to feel the effects of the mobilization and release. So you don’t know until then if you are taking too much or too little. I have a feeling I’m pushing it a little with the more than one scoop dosage during this second month of the protocol but I am going with it. But the tea is a must to help move things out. Have I mentioned the tea yet. Last night took the same 1.8 or so scoops. Didn’t sleep well last night, mild headache. But I actually think it was due to the Synergy Kombucha I drank that evening. Not a lot, like ¾ cup, but that stuff is strong. Took 4 Clear Way this am (2 per scoop) and had great energy today, only to wind down in the late afternoon, which makes sense because I didn’t get much sleep. I had no headache today. I think this dose is fine for me. Stiff though. I sit in one place for too long then when I get up it feels like I did a major exercise workout yesterday but I didn’t. This detox might be making that worse. Or it’s dairy. Still can’t figure that one out. Love cheese though. And milk. Acturally I think it’s the milk perhaps. Stiffness started after my milk/coconut milk/banana/peach/almond butter shake (and we know what Ray Peat would say about the almond butter!). Things going quite well. Took almost 2 full scoops of IMD last night. Slept great. I sleep well if I do the Original Strength exercises and put castor oil in my eyes right before bed. I know, I’m weird. I have realized something very cool. I seem to be less sensitive to the iPhone radiation. I went on a long road trip last week and I was able to have the iPhone play google Maps and Pandora and my head didn’t feel it like it usually does. I do have a steel rod fused to my spine so this is what probably made me more sensitive to emr (electromagnetic radiation). Took 4 capsules of Clear Way in the am and in the afternoon. Good energy all day. A bit of a poorer memory though. Probably stuff moving around. So that sums it up for Round 5, which was the beginning of Month 2 for me. That lessened iPhone sensitivity is pretty cool. My body is straightening out too, but that’s mostly due to Egoscue and the Tower and Original Strength exercises. My middle finger knuckles are still stiff when I bend them, and my muscles still a bit stiff. Perhaps the peanut butter chocolate ice cream I ate last night plays a role. Haven’t done gluten for many years though. Today’s an off day. My Mineral 650 came so I took that today. I think it has caused a bit of fatigue. 25 mg of zinc is a lot for this Hg-toxic lady (in a 6 capsule serving). But I’ll get used to it, I have in the past. Mercury has something like 1000 times affinity for zinc receptors or however it works. I’ve read and heard it a million times but can I repeat it to you now? Not yet! Maybe after a few more IMD rounds…The Quicksilver protocol calls for SIX of these mineral supps on off days. Two during on days. I am off to a good start on Round 6, my sixth week into this metals detox thing with IMD by Quicksilver Scientific. I am following their Month #2 protocol. But I am using two scoops instead of one, call me crazy. I make sure to take four Clear Way capsules in the am since I’m taking two scoops, and two in the afternoon. To the right is what I’m following. I am now taking the IMD in the am, just to make it easier to follow the sup timing on the sheet. It didn’t make me tired today. I did take two of the Minerals 650, and did okay, although as I taught my yoga class my back sort of started hurting and I couldn’t move around much. But I have been doing the Egoscue Tower and also Original Strength, trying to get my torso back more, and that is working. So I think my mid back muscles are just responding to this. So, with all the supps I am doing fine. Sometimes it works well when you keep it simple, and follow the directions that have been laid out for you. Two scoops of IMD today, plus all the other stuff. I’m doing okay on it all, but this afternoon I got super tired and almost fell asleep while doing Egoscue on the floor. Neck is stiff, but body feels better and less stiff, even with ice cream this morning. Also, during my yoga classes I haven’t heard my knees crack when I lie down for savasana. This would be a nice change as yoga teachers aren’t supposed to be terribly creaky. Well my body feels noticeably less stiff. But I don’t attribute this to the QS protocol. I think it’s the two days of turpentine I’ve done. Yes, turpentine. Commit me. One teaspoon poured over a few sugar cubes. Turpentine stuns parasites, and good bacteria as well, and then the immune system can get a handle on who to send to the toilet and who to let come back to doing its job. I was singing to Frank Sinatra in the car earlier today. Turpentine is making me feel good. Interesting to think that parasites were/are causing my body stiffness. I have taken various things to get at them over the years off and on. I”ve known for a long time that they have been with me, and I’ve seen them on countless occasions as they exit. Hulda Clark was one smart cookie. Tomorrow I’ll start on my Round 7 of IMD. I now do the rounds with two scoops of IMD, as you know. It’s only my second month but I’ve skipped ahead to Month 3’s dosing schedule. I am doing fine. My decreased sensitivity to the iPhone continues. Parasites and metals. Get both of them out. Poo lots. Drink good water. Eat nutritious food. I am renaming this website ParasitesAndMetalsAndPoo.com. Just kidding. Took my IMD scoop this am along with the pumps of etheric vitamin c. Followed that with the Clear Way and the glutathione and the RenTone for the kidneys. Minerals with lunch, and then this afternoon I repeat the IMD. All is well on this front. I am SO glad I am hitting back those parasites with the turpentine. This was my third day of one teaspoon on sugar cubes, and stuff that happened in the bathroom today from all this parasite-stunning was quite a shocker. But not really because I’ve gone through this type of thing so many times over the years. The trick is to stay with it. Always be on top of it. Dewormers aren't just for dogs. After that expulsion my whole belly felt lighter. Things felt right. I’m not completely certain why I have been affected more than the average joe when it comes to these things, but I know that metal toxicity is a huge player here, and I know that Klinghardt and Yu and others can’t stress enough the priority that should be given to deparasitizing. The more you do it the longer you live. The only thing that troubles me is my left middle finger joint. It is more swollen than normal. I have LOTS of energy! Am doing sulfur too. Thanks turp. 4th day of turpentine. Still less stiff. Stool darker since started turp. Lots of things coming out. Glad about that. Two interesting developments. I woke up this morning with my right side teeth touching in the best occlusion they have in years. This I think is due to the neck and jaw stretching exercises I did for half an hour last night and the night before. This is very exciting. I will be sure to keep up these exercises daily. Are they affecting facial bone positioning I wonder? Second, I woke up with what I think is a staph infection on my chin. They look like a small group of pimples. They don’t itch but they look pretty strong. Last night I put apple cider vinegar on the area and that appears to have no effect whatsoever. So I brought out the Mupirocin topical antibiotics that I was prescribed two years ago for a similar situation, on my chin in fact, and will apply this twice a day. I will take apple cider vinegar internally, and figure out which natural antibiotic to take internally. I think that this staph is happening because I’m messing with the metals and bacteria that have thus far been unperturbed. Also important to note is the tooth upper right second from back has been troubling me a bit. Cavity I think. Clove oil, biting into garlic, lower my sugar intake. Neck so stiff! Betcha it’s a lyme co-infection. I started up the salt c again today with ONE gram. Staph infection on chin! Third day of it. Am using mucuripin or something as an antibiotic cream. Am hoping it is drying up. Had to teach my yoga class this am with a silly bandaid on my chin, that kept coming off as I was sweating! I got this two summers ago. (1) my muscles are working a lot better -- they're stronger and more flexible; (2) I'm not as cold, both in my core and in my hands and feet -- my thyroid seems to be working better; (3) my short-term memory and cognitive ability are hugely improved; (4) my joints work much better -- far less popping and "loose" feelings; (5) my hair is thicker, stronger, and growing back (slowly) in some of the places I lost it; (6) I have far less allergies / pain from allergies; (7) my low back feels so very much better than it used to -- it's not pain-free, but, generally, it rarely hurts; (8) my fatigue is almost entirely gone now -- it's been a slow process, but I'm back to basically full energy; (9) I'm much more calm / less anxious; (10) my heartbeat is "steadier"; (11) my outlook / sense of optimism is way up; (12) my sense of well-being is way up; (13) my blurry vision is gone; (14) my fibromyalgia / whole-body pain is probably 85-90% gone; (15) my body feels much, much more relaxed than it did before; (16) my nasal / eye pain is gone; (17) my appetite has stabilized -- no more hypoglycemia, huge hunger attacks, etc. ; (18) I have excellent exercise capability -- amazing strength and endurance, and I can get my heart rate up way higher than I could previously; (19) my chronic sinusitis is substantially better; (20) my seborrheic dermatitis is nearly gone after over 15 years; (21) my skin is more "supple" -- it has more color, tans much easier (while I was sick, it would burn quickly), and looks more moist; (22) I have an easier time swallowing; (23) I tolerate alcohol much better; (24) my cravings for sugar are down, although this increases or decreases depending on when I am chelating; (25) I have more self-confidence and self-esteem; (26) I enjoy socializing with other people more; (27) I no longer get eye pain while looking at a computer screen (from ultraviolet light? ); (28) I tolerate all types of foods better (i.e., less food allergies); (29) I am able to wear contacts much more comfortably, presumably because my eyes are much less dry; (30) I have more motivation to get things done; (31) my carpal tunnel symptoms are gone; (32) while not gone, my floaters are much lighter and, somehow, much more mentally tolerable; (33) I no longer have an eye twitch in my left eyelid; (34) I no longer get headaches -- at all; (35) I rarely ever have a sore throat; (36) I no longer have reflux at all; (37) I no longer have restless legs syndrome (RLS); (38) my blood pressure is totally normal again; and (39) my TMJ problems are gone. This one week round will finish up my second month of the IMD Protocol. I am doing quite nicely. The latest development – a red and angry looking skin lesion on my chin – is actually good news to this experienced detoxer. I went to the nurse practitioner today after a fourth day of this thing not going away, and she said it was a viral skin infection, herpetic in fact. Shingles, herpes, chicken pox are all types of herpetic sores. Mine looked like it was drying up she said. She gave me a prescription for an oral anti-viral (Valtrex), which I did not fill, and said that if I did nothing it would probably go away within one to two weeks. But that it was a from a systemic cause. Dr. Larry Wilson, whose program I did for awhile, warns us much about these many viral and bacterial infections inside...and how they can finally make their way outside to leave for good. So, in case you didn’t know, I discovered that earthclinic.com has about a million success stories from people using turmeric on boils and other skin infections. And this is what I’m doing, as well as taking it internally. Yea, turmeric. I am still following the IMD Quicksilver Protocol word for word. One scoop of IMD mixed with 5 pumps of Etheric Vitamin C in some water in the am, then wait fifteen minutes, then 5 pumps of Etheric glutathioine and ClearWay Cofactors and RenTone. Then breakfast. You know the drill. I have NO mercury redistribution effects from this process. Next month will be my third month, and I am really looking forward to the 10 day on/4 day off rounds that start happening after the third month. I am ready to go deeper. Stiff and tired and a bit down. Could this be withdrawal from dairy? It does happen to some I read online. Have had two quarts worth of coconut milk/fruit smoothies. I’m not usually tired like this so it’s weird. This am I skipped my IMD dose. Just took the Etheric C. Last night didn’t sleep well, and felt like I’m either killing too much stuff, or releasing metals, and this affects sleep and causes hair to fall out, so I skipped it. But I do feel better today than yesterday. Could it have been the curcumin and turmeric I’d taken for a few days to aid in the chin viral infection healing? Or two modifilan? Don’t know, but bought and ate cheese today, which of course I love, and my 30 day dairy-free diet lasted 24 hours. I want to put more weight on, so if I was doing that by eating milk and ice cream and cheese, then I must be absorbing it, and I enjoy it. My chin is healing. Gosh that took a long time. Started infrared lamp on it yesterday. Today I started colloidal silver, homemade using my Silver Pulser. Makes 5-8 ppm silver. Took one tsp. Bottoms of feet still tender in am when I first get up. Some say Bartonella. Which is why I started the CS. Am not doing salt/ c though. Can’t manage to take everything! Tomorrow I start MONTH 3 on the IMD Protocol. It is going well! Took a scoop of IMD twice today. Along with the ClearWay, RenTone, C, Glutathione…the works. Got tired today, passed out for 20 minutes (sometimes that’s all your body needs), and realized it was the addition of the colloidal silver that I’ve taken for two days now, killing stuff. 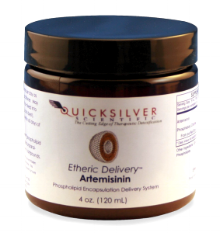 Quicksilver Artemisinin with etheric delivery; watch out parasites! A tricky balance – the metals detox and the parasite cleansing. Diatomaceous earth also always kills stuff. Today I added the liposomal artemisinin for parasites. I got uncomfortable gas soon after I took one teaspoon but thankfully it didn’t last long. Earlier today I passed out for an hour. Tired! Yesterday I took 1.5 tsp of sulfur at around 4pm and man, I couldn’t get to sleep until about 2am. It really keeps me up. Have to take it early in the day. This morning lots of hair came out as I washed/conditioned my hair. It is a wonder I have hair left sometimes! I find that when I take an antiparasitic like colloidal silver or diatomaceous earth or now artemesinin, more hair comes out. On the plus side, lots of energy, and a strong will to get things done. The artemisinin – a powerful antiparasitic – is working its fifth day of magic inside me. And I am not seeing much in the bathroom like I have in the past. This is a good sign and means the parasite load has been lessened. Along with the turpentine and occasional diatomaceous earth, the artemisinin makes my inner terrain less hospitable to critters. I’ll continue with it until the jar runs out – maybe another week or so. I am happy today. Usually I’m just content, but today I feel happy and so lucky to have all the wonderful things that I have in my life. The bottoms of my feet are still sore for a few seconds whenever I stand up to walk on them. I am still only taking one gram of sea salt a day. Need to work that amount higher. I am guessing that there are infections that need to be taken care of. The metals detox is just letting them be known more. Have to address both. Skipped this am IMD/Vit C/RenTone/Glutathione dose because I have weird symptoms of increased neck stiffness, sharp foot pain that lasts only a few seconds, poorer memory. And today, a bit of headache/itchy eyes. Lots of aerosol spraying today, terrible. Did do the pm dose of IMD etc though. Took the two IMDs today, unlike yesterday. Feeling more normal now. I checked my diary from last year and when I had sharp foot pain then it was after taking probiotics. Weirdness. Am ready to remineralize these next two days. With the Hypertonic. My neck is REALLY stiff and bad. I’ve been doing the jaw/neck exercises but they don’t make a dent in the stiff neck. Took two salt/c’s today. I’m going to up it again to see what happens. My temp has been higher lately. Like I get warm flashes now. This is a welcome thing. Had a great day today. Could be the remineralizing and the break from the detoxing via the IMD, could be the three grams of salt/c I’ve added for probable infections like borellia. Great energy, great mood, feel lucky. After so many years of not knowing if what I was doing was working or not, here I am knowing that it has all been coming together for a while now: what I eat, which supplements I take, what lifestyle choices I’ve made, etc. Three grams of salt/c again today, my third day of it. A bit tricky to manage that plus the QS Protocol, but think it’s important for possible lyme or lyme co-infection. 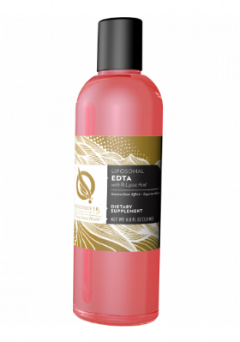 My creaky joints might be due to calcium deposits in the soft tissues, so that will be another reason to try out the EDTA from QS, starting tomorrow. QS says it’s good to add to the program during the second month if you’re doing okay, which I am, and if you’d like to address arsenic, calcium and lead. Plus it has phosphatidyl choline, which Becky from MercuryMadness.org says made her well from mercury toxicity. You have to be sure to take your minerals though, because it can remove things like the good kind of calcium, iron, magnesium and others. I am sleeping well. I just do these three things: my Original Strength exercises, a few drops of lavender essential oil on my wrists, and a little bit of castor oil in and around my eyes. After years of being a wakeful sleeper, it is nice to sleep through the night. Please read this relevant interview with Dr. Peta Cohen. Fascinating information about her work with autistic kids, biofilms, and metals pouring out with the right type of treatment. I took a teaspoon of EDTA again this morning along with my IMD and Vitamin C. Later I realized the dosing of the EDTA should be on Days 1, 3 and 5 of the Round, so I will skip two days before taking it again. EDTA removes bad stuff like lead and mercury, but good stuff gets chelated out too, like calcium and other minerals. So you need to be aware and take mineral supplements. Today I took the IMD, the Vitamin C. Then took the glutathione and Clear Way and RenTone. At lunch, I don’ thave the Isotonic Quinton so took trace minerals and a couple of the 650 minerals. Plust three salt/c’s today. And the rest of it. Saw my electrodermal screening guy on Friday. He says that borrelia and the coinfections are causing the stiff neck. That they have nests of infection and that they actually cause the muscles to contract and be stiff. I had suspected as much. I was bitten by the first tick about three years ago, and this is when the stiff neck started. I will write a post on it. Yes, electrodermal screening works. That’s it! My first three months on the IMD Protocol are finished! For the next two weeks I will remineralize with Quinton Hypertonic, Minerals 650, the trace minerals, and take the ashwaganda as an energy aid. Then, I’ll do my first Intensive Flush – 10 days on, 4 days off. That’s when health problems can really start to reverse, as I understand Chris Shade talk about it. Three cycles in a row, I guess with two weeks separating each cycle to take remineralizing time. That was a big factor in why my Andy Cutler chelation didn’t go well. I was strippin’ minerals I do believe. I am feeling good. Energy is great, I’m sleeping well, my cell phone sensitivity is still minimal, and my body stiffness and finger stiffness are much better. I don’t feel brain-foggy. Plus, I said goodbye to a systemic virus that left via my chin. Have you tried the Quicksilver Metals Detox Protocol? Let me know! Keep me posted on your progress! I'd love to hear what's worked for you regarding metals and chemical detoxification. Bringing you adventures in natural health. Join us. Join our community. Get updates on health experiences in the natural world.